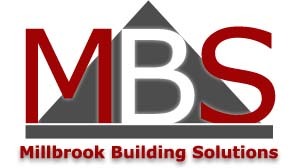 Millbrook Building Solutions Limited - Builder, Kitchens based in Basingstoke, Hampshire. Millbrook Building Solutions have been trading since 2001, we have over 21 years of experience in the building industry. At Millbrook we are committed to producing excellent standards of workmanship on time and within budget. We are able to undertake most building projects with all the necessary trades. Our services include: Extension Building, Garage Conversions, Alterations and Refurbishment, Carpentry and Brickwork, Plastering, Wet Rooms and most other General Building requirements.